It’s been a while since we’ve heard from Joe Olmstead here on Direct2Dell, but Tom’s Guide was recently able to grab the Alienware product development director for a special Ask Me Anything (AMA) session on their forum. The questions he received were wide-ranging from how to order an Alienware 17 R5 online without Tobii eye-tracking, to why someone would chose to purchase an Alienware 17 R4 that weighs more than some smaller, more portable systems that are available. Reading it today, I learned a new term – “desk queens” – which Olmstead used to reference those performance laptops that don’t leave the house very often. It’s a use case our engineers have taken into account during product design. “In fact, we worked on specific battery technology to ensure that our batteries don’t get overcharged for being plugged in all the time,” he noted. Q: What do you look for in a perfect laptop or desktop? Does that affect your decision-making when designing multiple lines that have different purposes? But when we design a laptop or a desktop, we try to understand what a customer wants — beyond the CPU/GPU combo. We believe that Alienware customers are seeking a higher experience. Whether it be build materials, features, etc. But all of the features need to be purposeful. For example, the lighting in our products [works] to allow you to play in the dark, but also work[s] with over 130 games to provide a better experience. This and other decisions (like our magnesium-aluminum alloy) cost money, but we believe that they provide a richer experience. 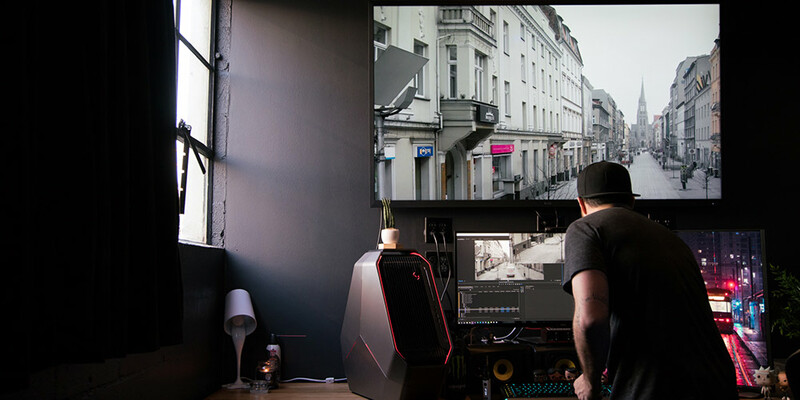 When we look at our Dell gaming products, the biggest misconception is that an Alienware customer is somehow more “hard-core” — that’s not true. We know that your wallet doesn’t dictate your gaming lifestyle. So when we design Dell gaming products, we first want to deliver on the primary goal of gaming performance. Yes, they are less expensive and do not have all of the same features, but we believe that we satisfy the core need — playing games for as long as you want to. The day before heading into the Tom’s Guide Community, Olmstead joined Alienware Community Host Umar Khan on the Alienware.TV channel for a Tech Talk about our new Alienware Wireless Gaming Headset (that I highlighted here last week). Funny note: apparently Olmstead gave up his office to make space for this studio. But, it’s certainly not his first time around the new headset. It’s designed for clear natural voice quality, in solo and multiplayer situations, but Olmstead says he’s also been using it for conference calls with our teams around the globe. The Alienware Wireless Gaming Headset is a premium gaming headset and our first headset since the Alienware TactXHeadset launched in 2009, it is also Alienware’s first wireless headset in history. It became available in the U.S. on June 11, starting at $229. And to answer the question they couldn’t seem to get answered during the Alienware TwitchTV Tech Talk… Its starting weight (without dongle) is 0.84lb or 0.38kg.